What a winter, huh? This flu season has been the worst in years, and this past week the arctic chill over the East Coast did not make things any better. I thought I had escaped unscathed until I woke up Friday morning with terrible cold symptoms. It got worse throughout the day and into Friday night, so I had to cancel my plans to join my boyfriend and his friends on a ski day trip Saturday. Yesterday, while my friends were having fun skiing, I cranked up the humidifier, turned on Bravo, and tried to get better. Usually when I'm sick at home, I don't have a lick of makeup on (what's the point? 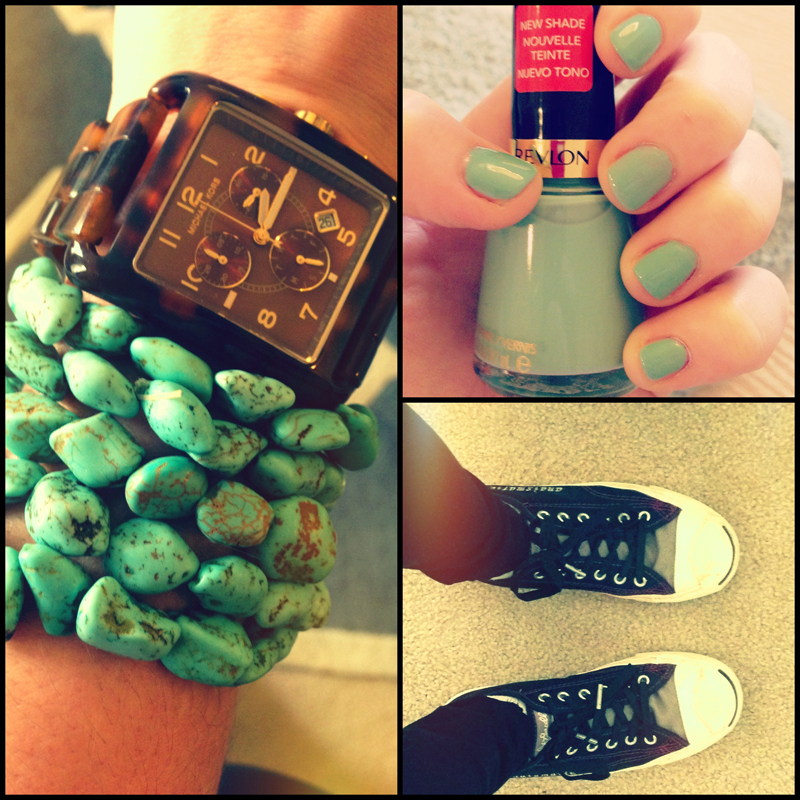 ), but when I had to step out to Whole Foods for some lunch, I decided I would try to look the best I could. Here's are my top products for glowing, healthy-looking skin for even on your worst days. When I'm feeling sick, my skin's usually dull and lifeless. I remedy that with a luminizing foundation like L'Oreal True Match Lumi Healthy Luminous Makeup in Porceleain Ivory (W1-2). True Match Lumi gives my face sheen and glow without looking oily or sparkly. I use a Beauty Blender for a quick, flawless finish. When I'm sick, I usually haven't slept well, which means undereye circles! I use Eve Pearl Dual Salmon concealer in Fair/Light for under the eyes as the salmon peach color cancels out all purple. I then use Benefit Boi-ing concealer in Light for everywhere else, especially around my nose area. 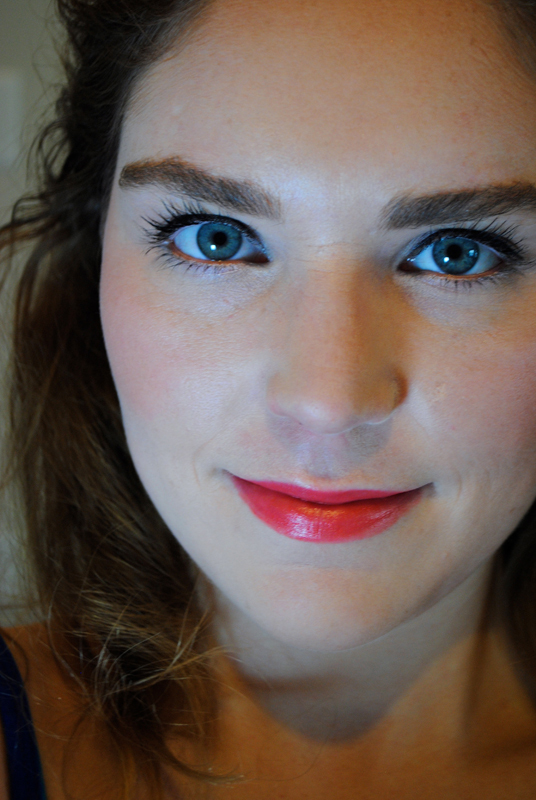 Makeup rules be damned - corals can totally be worn during winter, especially when you don't feel well! 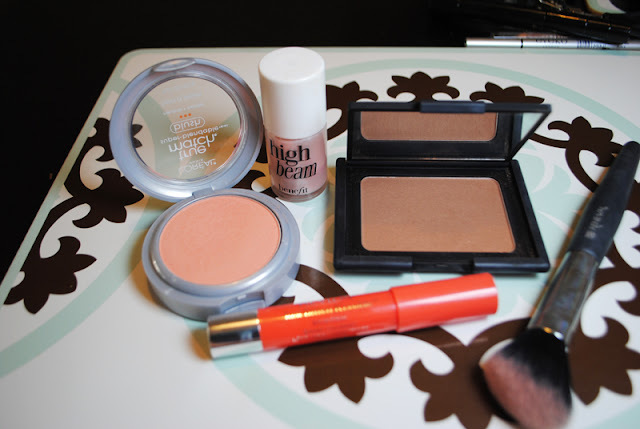 I start by warming my face up with NARS Laguna bronzer, then I take L'Oreal True Match blush in Innocent Flush in to warm up the apples of my cheeks. I hit the high points of my cheekbones with Benefit High Beam highlighter, and I top off the look with Revlon Just Bitten Kissable Balm Stain in Rendezvous, a the perfect no-fuss coral. I always start with filling in my eyebrows. This Prestige eyebrow pencil in Light/Medium matches my brows perfectly, and it comes with a spooley! Then I go in to the inner corners of the eye and my lower waterline with Benefit's Eye Bright. This really helps me look awake. 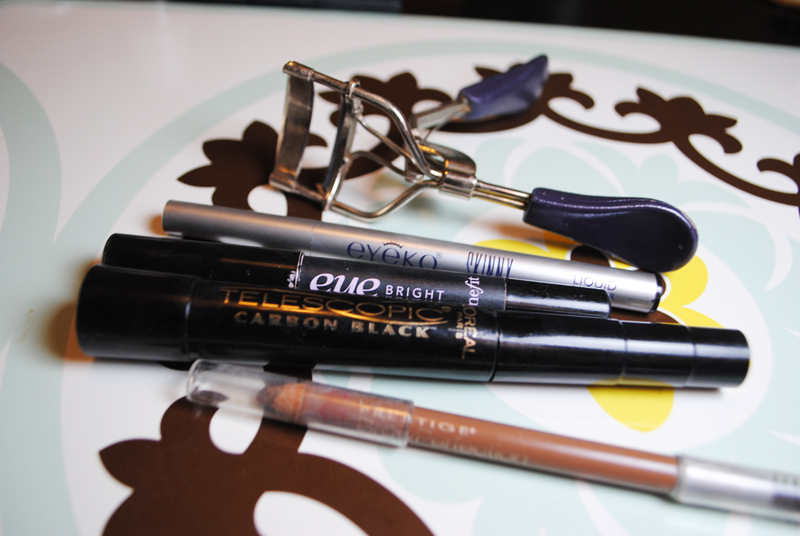 Lately, I've been loving my Birchbox deluxe sample of this Eyeko Skinny Liquid Eyeliner in Black, as its pen-style applicator makes it super easy to apply. I curl my eyelashes with my Tarte eyelash curler and apply a couple coats of L'Oreal Telescopic Carbon Black, a mascara that makes my lashes so long yet natural. Then I'm set! Super sick, but not a hot mess! 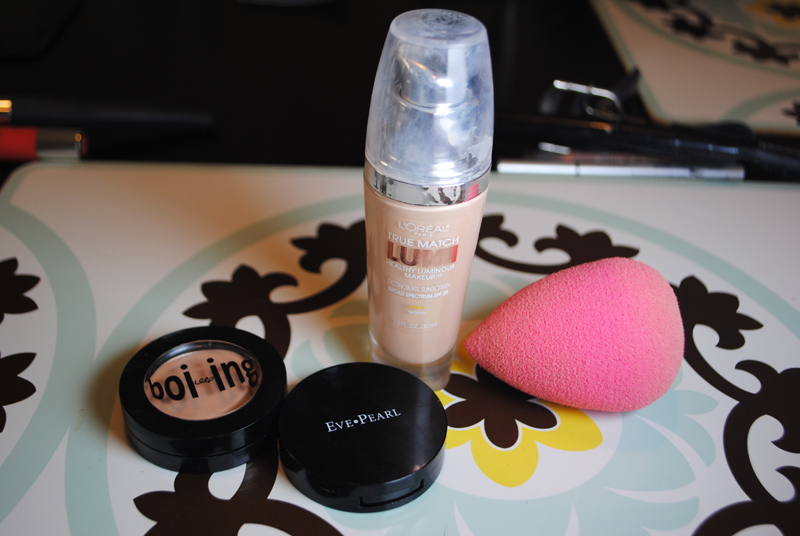 I really like the L'oreal Lumi foundation. Adds a nice subtle glow!